If possible, buying your pet tarantula locally is a great option because you can see the actual tarantula you’re purchasing, and perhaps handle it a bit to learn its personality. You can also ask the keeper what the tarantula’s feeding habits are, etc. 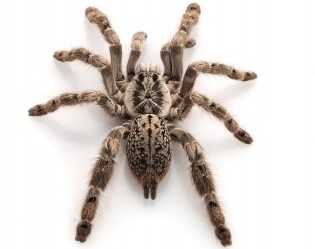 Another great option is going to an insect or reptile expo as the selection tends to be expansive and the sellers generally have more tarantula expertise than a pet store employee (but not necessarily). Local classified ads can even be helpful and may allow you to connect with a breeder in your area. We generally purchase our tarantulas in bulk from various importers and breeders who do not sell retail, but we also buy tarantulas online as it does offer the convenience of having them shipped directly to you and is quite safe. Tarantulas generally ship extremely well. 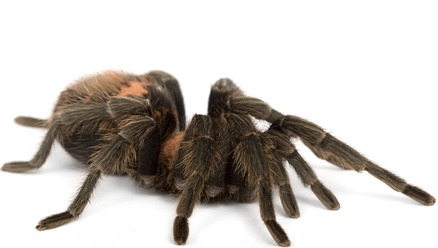 What are the best pet tarantulas? What is the biggest tarantula? How long do tarantulas live? Tarantulas can live up to 35 years. Most tarantula venom is weaker than a honeybee’s. Goliath-bird eating tarantulas can reach the size of a dinner plate. Some tarantulas can go without food for over 18 months. Tarantulas will regenerate lost limbs each time they molt.